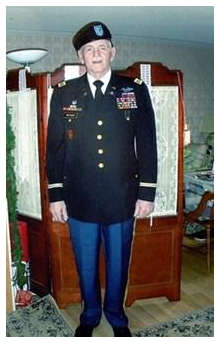 Colonel Allen Reed Wissinger, 73, passed away September 15, 2012 in San Diego, CA. He was born October 4, 1937, in Detroit, Michigan. He was married to Christa. Colonel Allen was had a career in US ARMY retired Colonel. he is survived by daughter, Miriam Chandler, and his sister, Roberta Powers, also his 9 children: Allen R. Wissinger, Jr., Terry Schrimsher, Larry Wissinger, Richard Wissinger, Steven Wissinger, Lisa Haussner, John Wissinger, Suzanne Nicholas (deceased), and Janine Flecha; also 21 Grandchildren and 17 Great Grandchildren. Services Wednesday, September 19, 2012 10am Peace Lutheran Church. Interment will at Arlington National Cemetery in Arlington, Virginia with full military honors.